(2005/BACKBEAT) Flexicover, 21x28 cm, English, 304 pages, b&w photos. That's how Mike, Peter, Davy, and Micky introduced themselves every week to the millions of 1960s TV viewers who tuned in to follow their comic adventures. But who were the Monkees? How did they come together? And what led four young men, who set out to be nothing more than prime-time entertainers, to make great records and a bizarre movie? 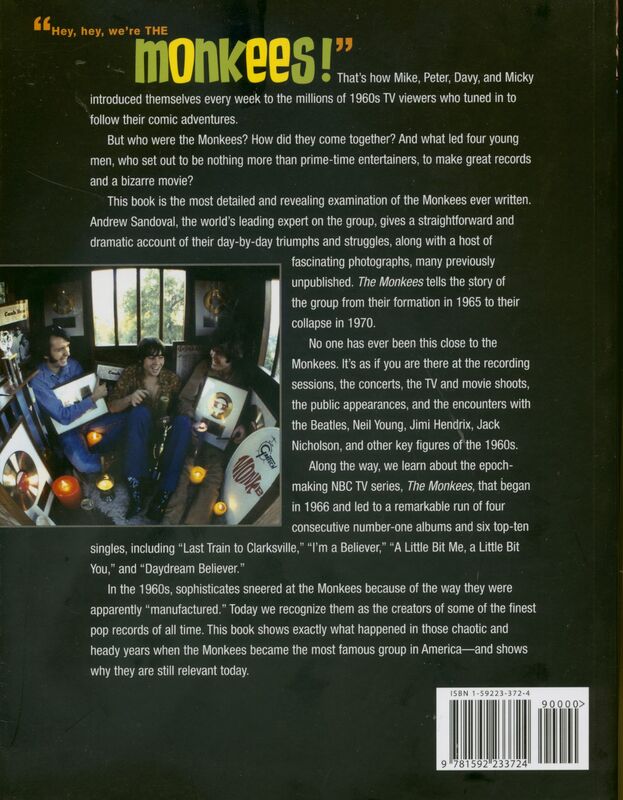 This book is the most detailed and revealing examination of the Monkees ever written. Andrew Sandoval, the world's leading expert on the group, gives a straightforward and dramatic account of their day-by-day triumphs and struggles, along with a host of fascinating photographs, many previously unpublished. The Monkees tells the story of the group from their formation in 1965 to their collapse in 1970. No one has ever been this close to the Monkees. It's as if you are there at the recording sessions, the concerts, the TV and movie shoots, the public appearances, and the encounters with the Beatles, Neil Young, Jimi Hendrix, Jack Nicholson, and other key figures of the 1960s. 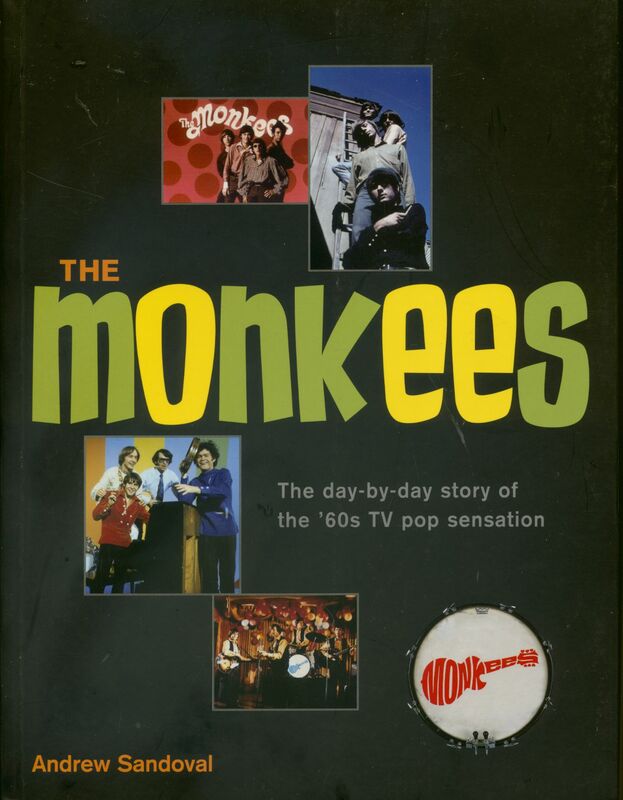 Along the way, we learn about the epoch-making NBC TV series, The Monkees, that began in 1966 and led to a remarkable run of four consecutive number-one albums and six top-ten singles, including "Last Train to Clarksville," "I'm a Believer," "A Little Bit Me, a Little Bit You," and "Daydream Believer." In the 1960s, sophisticates sneered at the Monkees because of the way they were apparently "manufactured." Today we recognize them as the creators of some of the finest pop records of all time. This book shows exactly what happened in those chaotic and heady years when the Monkees became the most famous group in America—and shows why they are still relevant today. Évaluations de clients pour "The Day-By-Day Story of the 60s TV Pop Sensation (PB) by Andrew Sandoval"